Hive Mind is about is categorically conceptual as album releases can be. 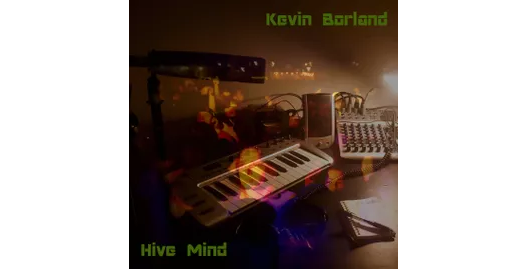 Kevin Borland has put an unquestionable level of thought and effort into this project – the music alone guides you through the story line or thought process, but adding quite notably to the effect is the accompanying read-through that you can find over on his Home Page. This album is unlike anything else you’ll have stumbled upon in quite some time. The album deals with the collective consciousness of the BosWash mega-city, focusing on ways the city operates like a human brain or a quantum computer, often comparing the inhabitants to bees in a hive. Not only this, it does so in a phenomenally detailed and thoughtful way. The title track kicks things off and the concept begins to take shape. It’s a provocative subject matter, and it’s so complex that it opens up a number of potential pathways, all of which become of sudden interest as you make your way through the collection. Pods On The Bus explores certain details, the drones in action – this repetitive phrase embeds itself in your mind as you listen to the chaotic soundscape and accompanying voice over. The further you get into this project, the more the concept and connections within start to draw parallels with what you’ve witnessed around you – in whichever city it is that you roam. 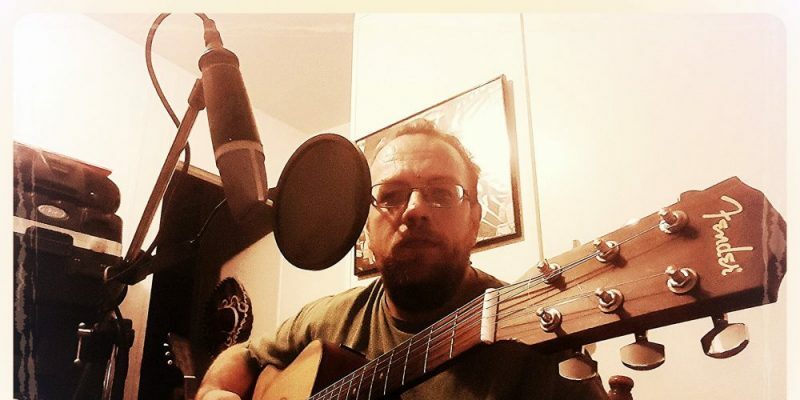 Poughkeepsie Line Romance offers a touch of the simple life, the relationship aspect of city living, furthering the characters of the drones yet presenting a fairly organic, almost acoustic soundscape. Kevin Borland’s story telling is fascinating, imaginative and colourful at every turn. On How Smog Is Made, the Voice of Self-Organization appears with a light hearted tone, alongside of a youthful and somewhat hauntingly joyful ambiance. This sort of contrast is commonplace on the project, and it’s definitely one of its greatest strengths. BosWash Megapolis brings back a classic rock or vintage metal aura, with a chorus of character voices, an intensely meandering electric guitar, manic drums, and a whole lot of provocative volume. The story ponders the question as to who is really in charge in the situation – the bees, or the hive. It’s another step further into the complex and considerate mind of the artist. As you continue through the rest of the songs on the project, the colour, the concepts, the confusion – it all navigates proudly through deep thought, and in my opinion, it exercises a refusal to simply comply and feed into the rat race of modern life. Megabus is brilliant, the story will make you smile and will likely conjure up memories of your own experiences with the infamous company. The melody is unavoidably infectious and the spoken word verses really help make it all unique. Buzz Bar presents an instrumentally expressive journey through audio that entertains and sets a confident, stylish scene. It All Comes Out touches on the environmental aspects of hive life – a welcome addition to the collection. By this point, Kevin Borland’s leading voice has become something of an unforgettable guiding light through these ideas. His tone and performance style, even when speaking, are loaded with identity and a fitting level of a drama. People Of The Park lays out a peaceful ambiance and a string of poetic, reflective ideas that remind you to consider the depth of this project and what it’s really saying to you. These are all issues that are affecting us right now, all over the world, in just about every city. As fun and unexpected as this album is, Kevin Borland is expressing these ideas because they matter, and he’s doing so in such a striking way because perhaps it’s just too important to let it not be considered. 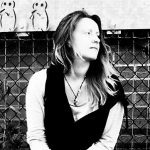 Sick Building Syndrome follows with an inescapable intensity, both musically, conceptually, and in the sheer emotion portrayed by the leading voice. Then you get Superposition of States, the first expected single from the collection, and suddenly there’s joy, jazz, rhythm, musical prowess, bright and hopeful singing. The arrangement of this project works beautifully. It’s really, extremely creative and detailed. Things finish up with Barbie Liberation Organization. This is possibly one of the most interesting of all the songs within, though it crossed my mind to say that on a number of other occasions. This one starts as it means to go on, and it encapsulates a lot of what came to be as the album played out. It’s a bold and memorable way to finish, and I will be listening to this project in full again to hopefully re-absorb it all. A definite recommend for fans of unusual, creatively free yet deeply thoughtful songwriting. The song is based on an actual event that occurred in 1993, where the talk-boxes of G.I. Joe and Barbie toys were switched as a prank and returned to stores, in response to Matel’s manufacturing a Barbie that said things like “Math class is tough.” – Barbie Liberation Organization. Check out the album via Kevin Borland’s Website. Find & follow him on Facebook & Soundcloud.